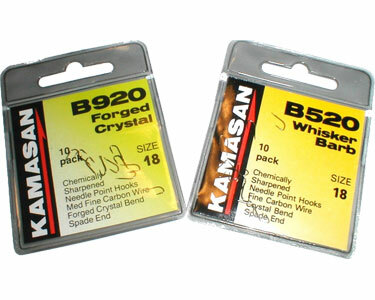 The crystal bend of the B920 sets the hook point sticking up straight and vertical. This is mechanically a very strong shape which is less likely to gape. Our favorite hook for fishing matches on venues where carp are present. NOTE: These are spade end hooks.